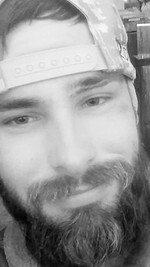 Robert Leonard Reyes, 28, of Pensacola, FL entered his final resting place on Saturday, May 12, 2018. He was born on November 15, 1989 at Baptist Hospital in Pensacola, FL. He always knew how to light up a room with his contagious laughter, constant smile, and warming hugs. Robert was fond of many things and had several hobbies, to include, airplanes, fishing, boating, golfing, and being out in nature. If it was outside he was there whether it was a bonfire with loved ones or fishing in the Gulf. Robert also, was fond of country music and the Crimson Tide, ROLL TIDE ROLL! Above all else, he loved nothing more than his family and spending time with them. Robert leaves to cherish his memories his three amazing children, Elizabeth, Piper, Rayden; mother, Heather and Daniel Scruggs; father, Roger and Suzanne Reyes; brothers, Christopher (Michelle) Reeves, Aaron Reeves, Gabriel Reyes, Allen Scruggs; sisters, Angel Scruggs (Buddy), Donna (Johnny) Glass; Andrea Scruggs; maternal grandmother, Annette Carter; and a host of extended loving family members and dear friends. A Memorial Celebration of Robert’s life will be held at East River Smoke House in Navarre, FL from 5:30 p.m. – 7:00 p.m. on Friday, May 25, 2018. To send flowers to the family of Robert Leonard Reyes, please visit our Heartfelt Sympathies Store.